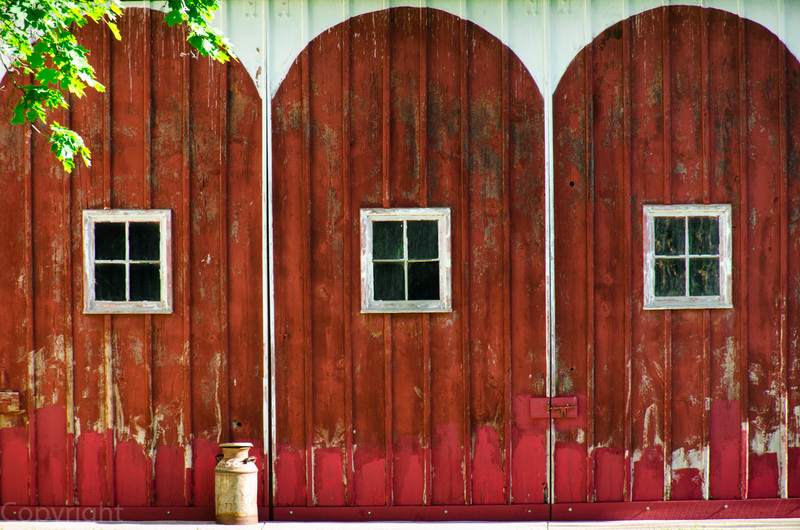 On our weekly photo safari last week we found a couple of barns that interested us. The lone milk can was what first attracted, but the beautiful architecture was what really stole my heart. And of course windows always seem to hold secrets (past and present) that I can’t explore. Photography has required that I focus on what I find beautiful and interesting out of all there is to see in the world. I’m intrigued by why certain things appeal to me enough to want to capture them to share with others, to maybe tell you the story of who I am. Friend Julie and I can make a stop because something catches our eye but when we are finished wandering around and snapping our shutters, we have very different images. She surprises me with her posts because I remember where her photographs were taken, but what she focused on and how she did the post-processing results in very different images than mine. That makes life fun! Love that a decaying barn can have such a simple elegance – good capture! Great photo. It draws one in, imagining what is behind those window. Poetic vision. Lovely header too. I have had the same experience when I’ve gone on a photo expedition with other folks, even if it’s as simple a thing as popping down the block to the rose garden. Interesting, isn’t it? So many stories untold in that photo…totally loved it! I always think it very interesting the photos me and my friends create from the same place. I love the things that make us the same and those that make us different.